Provincetown, the original landing spot of the Pilgrims. Provincetown, known as P-Town to locals, is a haven for artists of all kinds. P-Town is chock full of restaurants, nightclubs, cabarets and specialty shops. Provincetown is an open minded community where everyone is welcome. Whether you are visiting or there to stay, there is never a dull moment in P-Town. 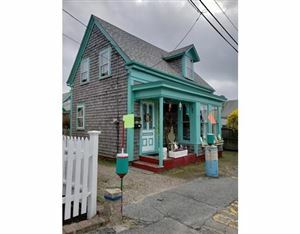 Listing courtesy of SeasCape Realty, Inc.
All data relating to real estate for sale on this page comes from the Broker Reciprocity (BR) of the Cape Cod & Islands Multiple Listing Service, Inc. Detailed information about real estate listings held by brokerage firms other than Keller Williams Realty Cape Cod & The Islands include the name of the listing broker company. Neither the listing company nor Keller Williams Realty Cape Cod & The Islands shall be responsible for any typographical errors, misinformation, or misprints and shall be held totally harmless. The Broker providing this data believes it to be correct, but advises interested parties to confirm any item before relying on it in a purchase decision.